Model Number: SUA750. Categories: Smart-UPS, Smart - UPS Tower. 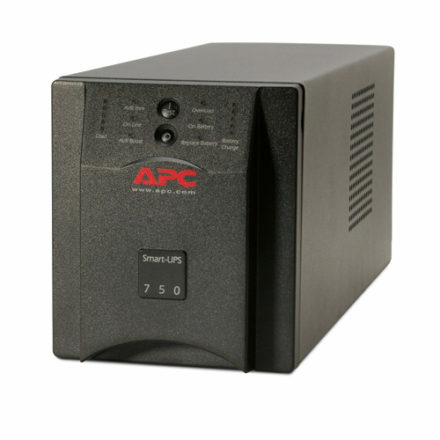 When you need uninterrupted power for multiple systems, the APC Smart-UPS 750VA USB & Serial is the dependable source that delivers up to six connections. 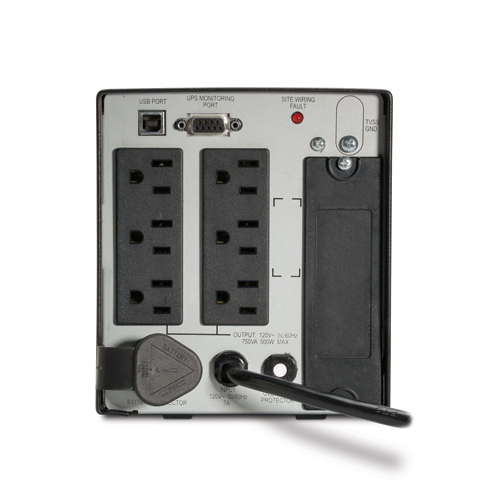 Enjoy more than 15 minutes of uninterrupted power at half-load and more than four minutes at full load. The APC Smart-UPS 750VA USB & Serial 120, also known as SUA750, churns out 500-watt capacity. It stands alone and features an LED status display that lets you quickly gauge its readiness. The SUA750 isn’t just throwing off raw power — it uses precise charging to maximize your battery’s performance, life and reliability. To further ensure its readiness, the unit performs regular self-tests that let the user know as soon as possible when a battery needs replacing. Audible warnings sound when the battery is not available for backup power. And replacement is simple and easy, as hot-swappable batteries protect your equipment during change-out. CoastTec is the only APC-certified refurbisher of single-phase units. This allows us to provide customers with refurbished products that perform like new at about half the cost of purchasing a new UPS. Our APC-certified technicians perform 30 checks and reconfigurations while they test and certify each product. This process ensures that your refurbished APC Smart-UPS 750VA USB & Serial is working as well — or better than — a product right off the shelf. For further peace of mind, we provide you with a one-year warranty on all products. When you choose an SUA750 from CoastTec, you’re protecting the environment and saving money at the same time. Smart-UPS SUA500/750 VA, 100/120/230 V Tower (Manual) | User Manual for Smart-UPS 500/750VA 100/120/230V.